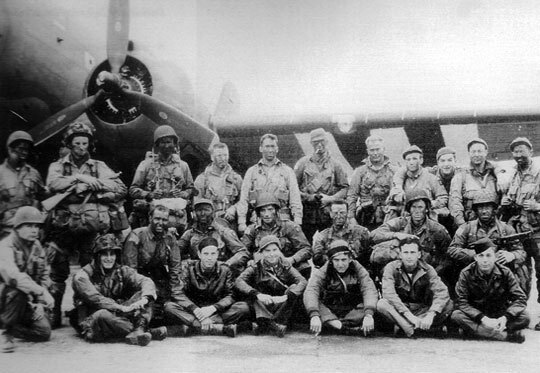 The 507th, commanded by 1st Lt. Joseph, 507th Parachute Infantry, flight led by Captain Minor, Air Corps. Flight took off on time at North Witham. Dropped on designated DZ accurately, on time. At time of drop, pathfinder personnel and pathfinder aircraft were subjected to heavy anti-aircraft fire. The jumpers, on reaching the ground, found themselves in a German Troop concentration. Due to aggressive action of enemy troops, the DZ was not set up according to SOP. No lights were turned on. One Eureka was set up by this pathfinder team twenty minutes prior to scheduled drop of first serial. Eurekas were triggered fifteen minutes prior to drop of first scheduled serial. All elements appeared on time. These elements were widely scattered upon arrival, apparently due to action of enemy anti-aircraft fire. A maximum of fifty aircraft dropped their parachutists on the DZ. Eureka remained in action twenty minutes after scheduled time of last serials. A few strays dropped after scheduled time.